The State and its security forces are responsible for the maintenance of public order and safety. Social approval of their actions is essential to the preservation of their governance. Recent demostrations and protests have become the common ground for institutional power and violence. Mechanisms of social control are put in place to legitimise authoritarianism. Tauromaquia penetrates these totalitarian codes, parallel to the approach of activist hackers, shining a light upon the actions and deficiencies of the State. 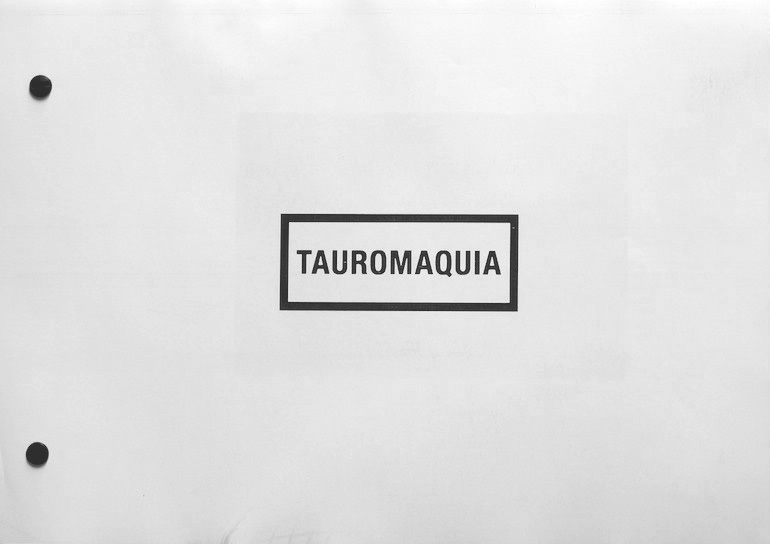 The images of TAUROMAQUIA (TAUROMACHY) document various presentations that the police carried out in bullfighting arenas to audiences of schoolchildren. Computer screenshots present material that is available online. The result features images from several viewpoints: films made by the police, by local media, and by teachers. The incredible fervour of this national spectacle thus appears from multiple perspectives: from the children’s entrance into the arena, to the representation of a criminal’s execution.